#2 best sellers in Children. SPILL-PROOF DESIGN — Great for babies and kids to have fun while they eat but without the mess. Easy grip handles allow kids to hold the bowl without much effort. 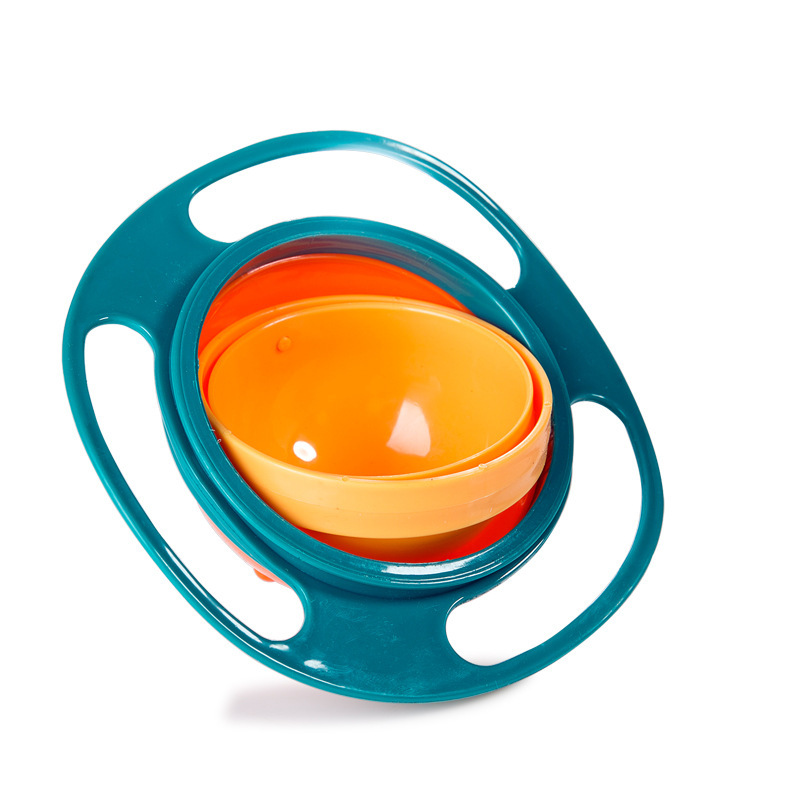 DESIGNED FOR KIDS — Kids love snacking out of this gyro bowl. With its unique gyroscopic design, kids can reach into the bowl for their favorite snack without making a mess. PERFECT FOR SNACKS — Anti Spill design, the inner bowl with gyroscopic motion can rotate 360 degrees to keep dry food inside and avoid food spilling. EASY TO CLEAN — Made of food grade PP material, safe for your kids to use. Easy to Clean and Dishwasher Safe, just wash it gently in warm water or put it in the dishwasher. This is the second spill proof bowl purchased because of its quality and usefulness. Perfect!